Yet another week has flown by, leaving us with a couple of days to sit back, relax, and enjoy some great gaming sessions. Halloween has been and gone and we're now into the month of November so have a read of our thoughts, and tell us about your plans via the poll and comments below. Enjoy! 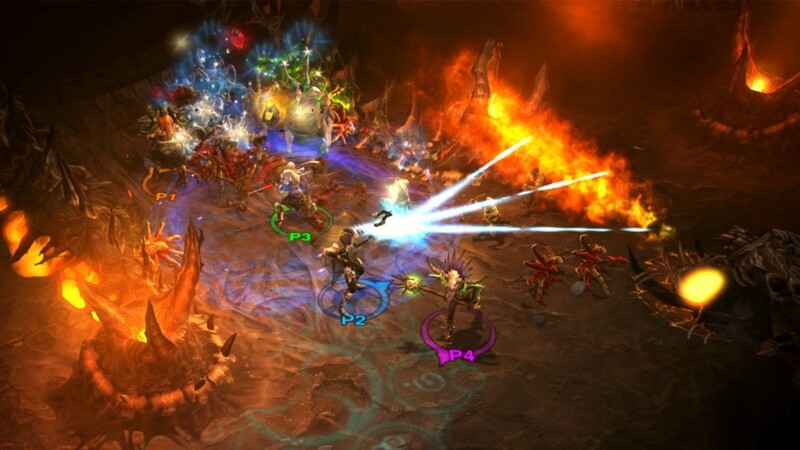 This weekend I’m playing one game - Diablo III: Eternal Collection on the Nintendo Switch. I’m questioning my sanity right now as this is actually my third copy. I originally picked it up on PC in 2012 shortly after the ‘Error 37’ launch debacle and then acquired a console copy when it arrived on certain platforms in 2014. Here I now am playing it in 2018 on the Switch. Even though I’ve played and completed the story mode multiple times over already, there’s still plenty of other content to enjoy. In fact, I never actually purchased the Necromancer DLC on other platforms - so that’ll be my main character for this next run through. The Zelda-themed content and exclusive Ganondorf armour set is probably enough to spur me on for at least another 100 hours as well. Based on my early impressions with the Switch release, this version of the game is possibly the best yet. 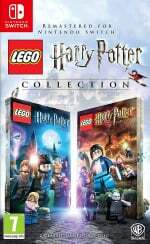 This weekend is all about the LEGO Harry Potter Collection for me, which just released on the Switch the day before Halloween. While the games aren’t anything new, it is fun to play remastered versions of them on a newer console. Since the games use the original soundtracks from the movies, the audio in this series has always been on point, regardless of platform. Also, who doesn’t enjoy watching key cutscenes from the films acted out with animated Lego minifigures? I really think Lego should just start doing animated versions of all of the classics for the big screen. I’d pay money to see that. However, these babies will just be tiding me over until the ‘Let’s Go’ games arrive in a few weeks, which is really what I’m waiting for next. It’s been a bit of a dry spell recently, folks - so I’ll be casting a few at Hogwarts while I wait patiently for November 16th. This weekend I had hoped to go back and mop up the last few optional challenges I skipped in 7 Billion Humans, but I’ve gone and done a naughty: I took aim at my wishlist and pulled the trigger on not one, not two, but three games. 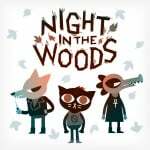 So, I’ll be juggling Dark Souls: Remastered, Inside and Night in the Woods. It’s a pretty dark line-up after the rainbow blast that is Taiko no Tatsujin, but on the plus side 1) each one’s an absolute belter, by all accounts, 2) they’ll show off the black levels on my telly, and 3) once I’ve found that elusive Solaire of Astora amiibo, I’ll be sorted until the new year. Games! Two is better than one, right? That’s why I’m playing the little indie title Pode with my girlfriend as a ramp up for our 10-year-anniversary (!) this weekend. 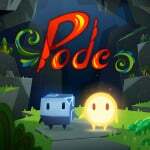 As I progress through these little rock/plant puzzles, I’m hoping Pode get a little harder. It definitely can’t get any cuter. I can't believe we're just two weeks out from the release of Pokemon Let's Go! Between that and the Smash Direct, I know what I wish I was playing, but we've got some time until then. So, what am I looking at this weekend, then? Between those two aforementioned games, I know the rest of my year is likely spoken for, so these next two weeks are going to be all about catching up with the games I want to finish before year's end, starting with Diablo III: Eternal Collection. I've been exploring New Tristram and it's incredibly addicting. If I can peel myself away from Blizzard's first Switch outing, I'm going to try to finish Starlink, and Moonlighter. There are just too many games to play, and that's a great problem to have. I actually find myself taking a rare trip outdoors this weekend, with a sadly small amount of time being left over for any gaming to take place. Of course, my Switch will still be going with me regardless just in case, and luckily I have a number of things on the go which suit quick bursts of play rather nicely. Despite picking it up a couple of weeks ago now, I still haven't found the time to start Overcooked 2's new Surf 'n' Turf DLC. My partner and I had a blast shouting our way through the game's main, brutal levels, so we're looking forward to exploring (and arguing over) the new kitchens soon. We also recently kicked off our journey through Death Squared, which should work beautifully for those odd free moments while out and about. Fearing I am beginning to sound like a broken record, this weekend I welcome November as usual: Split between the Second Europan War and among the planets of Atlas. While the main campaign of Valkyria Chronicles 4 saw little progress due to me spending all my free time with Squad Stories, learning the back-story and improving the soldiers of E Company, the scales of war are slowly but surely tipping to my side in Starlink: Battle for Atlas. This is what happens when you have a complete squadron of plastic pilots, ships and weapons to throw at everything The Legion throws at you. I should however really track down Wolf… that treacherous canine cretin must be holed up somewhere and up to no good. 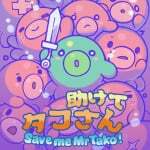 The Shiryu Game of the Week award goes to Save me Mr Tako: Tasukete Tako-San; A game that inadvertently turns my Switch into a 16:9 screen ratio Game Boy is not something you stumble upon every week. I gotta finish this one! Think I'm picking up Diablo 3 after work tonight! 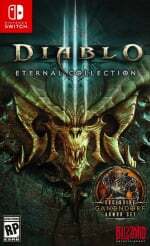 Diablo 3 if it arrives today (sore point re my Amazon pre order 😊). I also finally beat Conjunctivitis in Dead Cells last night, but then I died on the elite afterwards, darn it! My lovely partner brought me three games for my Switch this week so I’ll be busy trying to spend time on all of them. I'll be playing Diablo 3 too. I played through act 1 as a barbarian last night. Diablo 3 is still one of my favourite games! Dark Souls is going to have to wait a few weeks. I will try and finish the single player mode in Splatoon 2. I've put it off too long. I did the same with Splatoon, and what a ride that was! My copy of Diablo 3 is scheduled to arrive Monday. I wanna go digital but Amazon says it's too late to cancel my order as it's already prepared to ship. Octopath Traveller- out of my whole backlog this is the one I wanted to start the most but I’m now 10 hours in and have barely scratched the surface. True. If there's someone at home when they deliver, it could be refused. But if there's no one, they'll just leave it in the mailbox and I'll have to pay 4€ for the return and all the hassle that comes with it. Diablo III and probably some Dark Souls. Playing some Golf Story since I got it for a cool 9 bucks on sale. A game I recently finished on PC (steam) that I would recommend is Return of Obra Dunn. Probably the most interesting game I played this year. Really made me feel more like a detective than any other game I can recall (Her Story was great but Obra Dinn surpasses it). The narrative is also delivered in a way that is truly innovative and relies on the player to figure out how all the events went down and the motivations behind the actions of each character. Lucas Pope deserves some GOTY awards for his accomplishment on this game. I went back to Odyssey for the one year anniversary. Also have been enjoying a lot of Dr Mario. I'll be releasing all my shiny and event Pokemon into the wild. Digital Devil Saga on the PS2 for the last few days, although I'll probably go back to Valkyria 4 tonight. I just picked up Golf Story on sale and can tell I'll be hooked to it until I reach the end. This isn't at all my typical type of game (sports/RPG/text heavy/slow-paced) but I'm loving it. Casually attempting to beat Kirby Star Allies with every single character. It’s slow and repetitive, but somehow soothing. Crypt Of The Necrodancer has taken over, Swap This is WAY more fun than it has any right to be, and MHGU continues to rule the roost. Dark Souls can go straight to hell but I’ll still play some lol. Stoked for Rogue Legacy too, next week is gonna be rad. Will be playing Harvest Moon Light of Hope. Trying to restore the lighthouse and rebuild some houses. 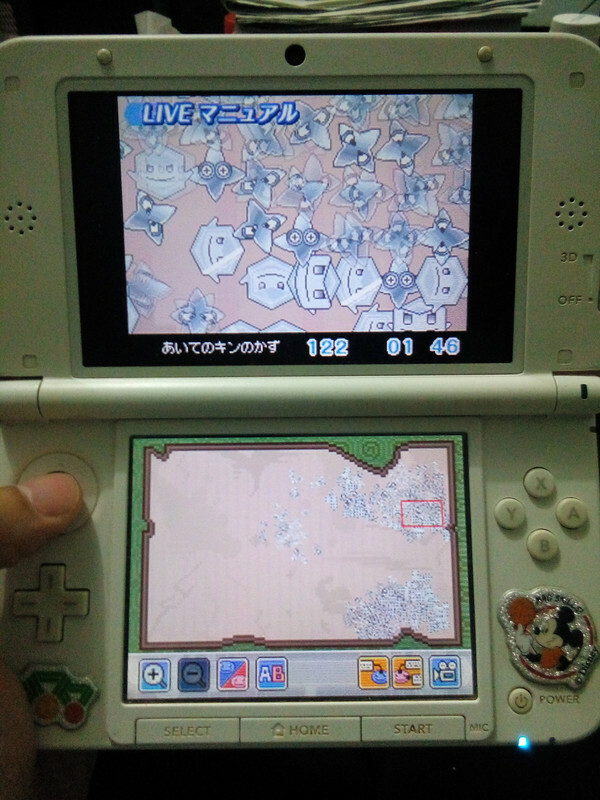 Also maybe some Picross 3D Round 2 puzzles. Taiko with the drum set..
Red ded also. Getting tired of some of these long horse rides though. Takes ages getting to places. I really, really want to play Dark Souls. I have it, the cartridge is sitting in my Switch carry case, but... I'm thoroughly gripped by Octopath Traveler now. Just about to unlock - finally! - my eighth character, which will free me up to explore some of the side dungeons. The main narratives are rarely better than perfunctory, but the battle system, upgrades, loot and general all-round polish are delightful. 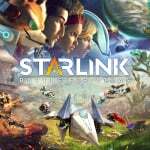 I’m gonna be playing Starlink, which is criminally underrated in my opinion. I think a lot of people got uninterested because of the toys to life stuff which isn’t even required to play. But I think I’m also gonna pre-order Pokémon Let’s Go, as those games have already gotten a discount at my local game store from €59,99 to €48,95, which saves me around €11,04. Long time no play. So, today i collect some "Nice!" Comments (get +20 points) from peoples around the towns by updating my outfits. And.... today is my lucky day to get Good Charm from Miss Teri to Boost my money from Cafe sales by spend her 50 "Nice!" to boost Cafe sales with Charm level 2. Long time no play too. I almost finished the games, just one step closer to beat the Final Boss. 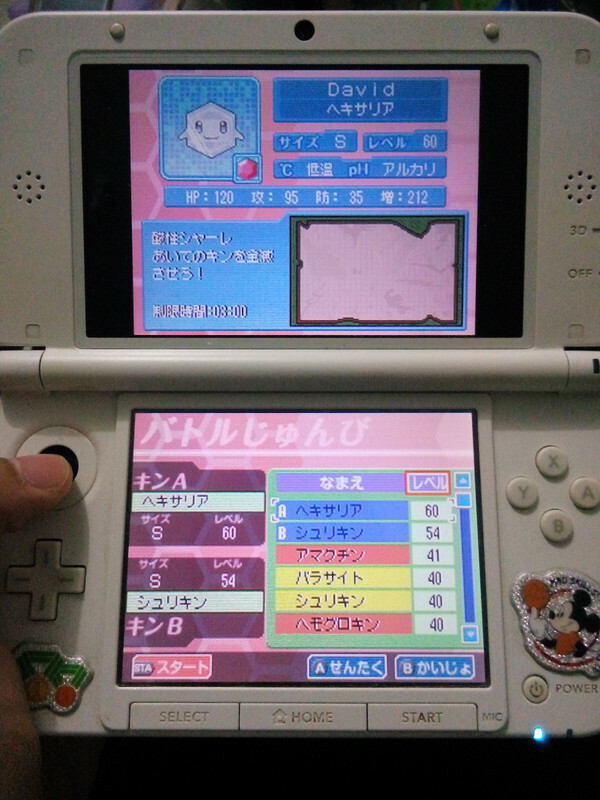 But, right now i have to level up my Kins (Hexalia & Shurikin) to reach at least Lv 60 to beat the Final Boss. Last time, i was defeated by the Boss due to not strong enough Lv. Edit: I realized i have to use Kin with pH = Acid to beat the Final Boss (lv 45) in Acid situation and that's why i couldn't beat the Final Boss because i still using my Kins with pH = Alkali , the opposite of Acid that made my colony hardly to multiply very fast. The Messenger: just unlocked the map! I want to give a go to Axiom Verge and Crawl too, just purchased both. Not gonna fall in the Mario Tennis hellish loop again. Just no. Diablo turns up later so will start my second play through probably if I get chance. Continuing my hiatus from gaming until Smash. Just too busy. I just finished up my playthrough of Devil May Cry 4 Special Edition on normal, hard, LDK and DMD difficulty. I even ended up doing an all S-rank run on LDK by pure accident thanks to all the style points the mode throws at you. I'll be wrapping up Final Fantasy 7 for the first time in 15 years or so this weekend, which - dare I say it - was a teensy bit disappointing. Other than that some more missions of the excellent Alien Isolation. Diablo III is probably going to consume the next month for me. Playing some Starlink today, maybe some Puyo Puyo Tetris or ARMS with my daughter. @Jubei no you aren't mate. Stick with it and go slow. If you run in hard yep you will die. Goad enemies into following you one by one, get your shield up and be quick on the dodge and side stepping as needed. When they give you an opening hit back! I'm getting near the end of Outlast 2, also want to get some time in StarLink. Soo want to get Diablo 3, I have it on PS4 but never get a chance to play it due to other people watching the TV so the Switch version is the most ideal. Glad so many people are enjoying the likes of Diablo and Dark Souls. They are currently one and two on the European eShop and it's good to see. Have a great weekend. @Medic_alert I think I've caught up to You! I just finished moonlight butterfly and I really didn't see much else to do in darkroot garden. After doing some research I'm thinking my next journey takes me back to undead burg for cappra demon. Grinding through alot more dark souls, spitting some ink in save me Mr Tako, and just started world 7 in smb3. Not using any flutes or shortcuts for the first time. @nintendobynature haha, good luck! Have you done the gargoyle's yet? There are a few ways to go about the game. I got distracted with Lumines for most of the week and diablo will distract me again but I'm much further along than I have been in past attempts! My Bloodborne and Dark Souls 2 experience are serving me well! 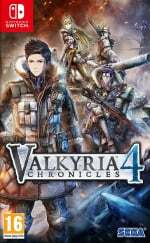 Going to try to finish Valkyria Chronicles 1 this weekend. On the latter mission of chapter 16. Harder than VC 4, but the story is very good. Next big game for me will be the Atari Flashback Collection as well as SNK Anniversary, Fallout 76 and Pokemon Let's Go. Should be keep me occupied while I wait for the Genesis collection and Super Smash Ultimate. Probably Red Dead Redemption 2. I just finished a third play through of Night in the Woods, a game which destroys me and leaves me feeling empty (I wish the ending were better... that's part of why it leaves me feeling empty). I kind of want to do another play through of it now. I'm going to try and shove in some portable gaming today between packing for the work trip I'm leaving for tomorrow and getting ready for a social event this evening. To that end, I'll be playing more Luigi's Mansion on the 3DS when I can. I'll be spending a lot of tomorrow in airports and various modes of transportation, but I've decided to take along my trusty old DS Lite with the copy of Dragon Quest IV that I ordered a couple of months ago. Diablo 3 of course!!! What a question! SNK Heroines, Capcom Beat em Up Bundle and Super Mario Odyssey for the Switch. Probably throw in some PS4 games as well. Mario Party Switch is what I’m playing. Other than that it’s Skyrim on steam. Can’t face paying £50 for it when I already have in on the PC. I'm getting Diablo 3 for my Switch for Christmas. But I also bought some Super Dragon Ball Heroes cards. Currently playing Bayonetta 1 the first time. Absolute bonkers it is, so glad i finally picked it up. Played Fifa 18 and Sonic Mania with a friend yesterday. I`ll be playing some Ys VIII and some Arena of Valor as well todaytomorrow. I’m taking a break from Victor Vran to start Diablo 3 while I’ve played 1 & 2 a ton I’ve never played 3 and it’s very good so far. I’m almost finished with Starlink so I hope to finish that this weekend. @nintendobynature good luck on that one. Didn’t play the switch release but on the prepare to die edition the Capra Demon was one of the most infuriating parts of that game. Dogs are not man’s best friend. Diablo 3 and some Pacman Championship 2 for Switch. Rise of the Tomb Raider, Tekken 7, and Shadow warrior 2 on pc. Won’t get to play much, but whenever I can I’ll try to find the Fire Arrows in The Legend of Zelda: Ocarina of Time 3D. Seems like I need them to advance in Ganon’s Castle. @Darknyht Ghostbusters on the Wii is one of my favorite games. You feel like you are part of the crew! Diablo III in the Switch and RDR2 on PS4. Man, it's a great time to be a gamer! What to choose....D3, DS, Starlink or MHGU. Whichever i’ll start will be the one i’ll stuff all my time in that i’ll have for this weekend. Just find a decent souls spot and grind. Then grind some more. Then after that grind some more. @nintendobynature you are right behind me then! I have been exploring some other areas too but haven't really got far with them. Now I'm cursed so on half health. I'm going to fight some ghosts! I really love Diablo 3 on the Switch. It's a really good port and it plays as smooth as butter. Handheld mode has a little bit downgraded graphics, but it's barely noticeable and really not an issue at all. Picked up Inside on sale and I’m enjoying it. Not sure it’s as good as all the reviews indicate but it’s very cool. Other than that I’ll probably have another bash at Dead Cells which I’m horribly stuck on - it’s so damn hard! Oh and Dust: an Elysian tale which is good but I only play in short bursts before getting bored and looking for other games to waste my money on!! I've already played Captain Toad treasure tracker, Warioware Gold, shadow fight 2, debris infinity, gal metal, and Diablo 3 this weekend. 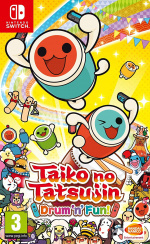 I'll play Taiko no Tatsujin, red dead 2, Wipeout Omega Collection, kingdom New Lands, breath of the wild(I like this game much better than red dead 2, but red dead is new and still mostly unexplored...), Tales of the tiny planet, swap this! (such a great game, so easy to play and just keep on playing), and the wonderful Wandersong! I'll also be hiking in nature and canvassing door to door to stop racists and fascists from getting into power. @BenGrimm put a ring on it!!!!!! @Franz brilliant game! Wish we'd get a Personal 5 "Crimson" on Switch. But not sure if that'll ever happen. While I do plan on putting more progess into Mr. Tako, I will also begin my foray into Kingdom Hearts 1.5 and 2.5 Remix on PS4. Pray for me. Working my way through Chapter 4 of Octopath Traveler. Will also probably play a round or two of Super Mario Party. Luigi's Mansion Dark Moon (2). ... While I wait for Diablo III to download. Almost finished with Axiom Verge and I got The Mummy Demastered on sale, probably work on those two and Tricky Towers with my lady! @TricksterTyler The trailers for Persona 5 are actually the ones that convinced me to get into the series. It looks great, but I don’t have a PS3 or PS4. Very much enjoying “Golden” so far. I think, “Just 15 minutes” but the next thing I know 2 hours had passed. Any tips for a newbie? It will be Octopath Traveler, all chapter 3's. A little MHGU, and too many old school games to list lol. @nintendobynature I lifted my curse and now have a defensive ring against curses so I'm all set! Gave up fighting ghosts too! But I just got murdered by an invader just at the wrong time. Reversing hollowing... Do you want to know having your humanity restored does? @Medic_alert yes i do please! So when you are hollow you can't invade or be invaded but you also can't summon anyone to help you. If you reach a boss with humanity restored you will see summon signs on the floor and others + NPCs can come and help you. @Linkuini i finished Okami HD few days ago. It's a long game for sure. Took me just under 34 hours. @nintendobynature there are a couple of tricks for the gargoyles. But having two of them makes them crappy to beat. Gold pine resin helps take them down faster also you can summon Solaire to help you out! 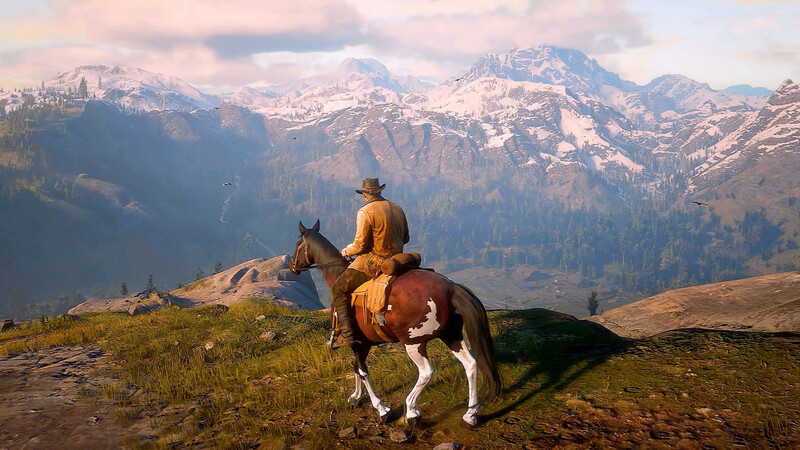 RDR 2. The more you play the better it gets. @Medic_alert Yup. Learning to dodge properly and using the shield a bit more now. Got to the Undead Parish but wasn't easy at all. @nintendobynature the good thing is that one day you will be on the other end of this with someone else wanting help. I think it is one of the great things about this game. Diablo 3 for me alongside some Fortnite. Good times. @Jubei while the challenges ramp up, in many ways the difficulty drops because the obscurity of what you have to do starts to lift. I've been playing Dead Cells in dribs and drabs but recently, for some reason, I started thinking about it while at work and couldn't wait to get home and dig in. The excellent music, sound effects and visuals and the top-notch gameplay - both exploration and combat - are really doing it for me. Leveling up is also simple enough to keep an arcade-game-lover such as myself engaged with the system. 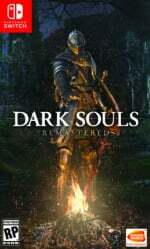 Dark Souls Remastered. What a masterpiece. Moon-gathering in Odyssey. 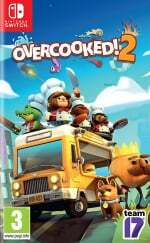 Couch co-op with my wife in Overcooked. Filling in my Hyrule Compendium in BotW. And maybe a match or two of Rocket League. Also really enjoying The Video Kid. Sound mixing is truly awful, but gameplay is an absolute blast. If I ever want to pick up and play something for five minutes this is my go-to. 2. RD2... can just loose yourself for hrs. @Cobalt I’ve been wanting to get rd2 so bad but I only have a base Xbox one and have heard mixed things on the performance so I’m trying desperately to hold out until a pc release or until I finally update my og xbox. My problem lately though is that my backlog is so stupid I get distracted easily and kno that I’ll be pulled from a 100 hour+ adventure so I’ll prob resist for a while longer. I’m also trying to hold out on triple dipping on d3. That’s my game and my son said he’d play it with me so I’ll prob be getting that first. Metroid prime, Only A few upgrades left!. And the usual Splatoon 2 and maybe some balloon world in Mario odyssey. I'm not playing my Switch at all this weekend, actually. I'm mostly scouring all of Deltarune on PC, looking for secrets and bits of lore. My gaming pc arrived today so I’ll be getting that all setup today. Switch wise I’ll be playing Binding of Issac. @UmbrageHill Axiom Verge is great, haven’t beat it yet though. Dragon Quest XI will be at the top of my most played games this weekend again..one of the best JRPGs I've ever played. Other games I'll be playing are Astrobot and Tetris Effect Demo on the PSVR,Torna The Golden Country and Resident Evil Revelations on the Switch. Gonna try to play through inside. I bought both inside and limbo on sale and honestly didn't really enjoy limbo all that much from a gameplay standpoint (I ended up just watching a playthrough of the second half of the game online). The atmosphere and sound design was great but the dark visuals often made deaths feel cheap and the gameplay felt very limited. I have heard that people love inside a lot more, even from people who didn't like limbo all that much. If I manage to finish Inside I'll finally get to playing undertale. I want to finish it now that deltarune is out. Super Mario Galaxy 2. Getting the green stars and some are a right pain. Enjoying it more second time around though. @GrailUK I like the look of Marble It Up. Might give it a shot. Resident Evil Revelations 1 and 2. Red Dead Redemption 2. That is all. Just finished Inside - it’s a weird, weird game! PS4 is killing the Switch at the moment. @sketchturner I bought the game this week as well. I was charmed at first, but the game becomes a chore near the end. I love golf and I love video games. Sid Meier's Sim Golf is one of my favorite game ever, but playing the most of the courses twice in row is a drag. I probably won't finish the game. Still fun though! 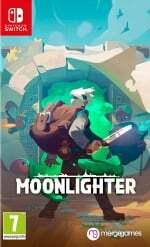 I voted both Moonlighter and Diablo 3. It'd be my 2nd time playing the game. @Franz learn enemy weaknesses and exploit them like crazy! Knocking enemies down and using an all out attack is gonna be your bread and butter for beating everything including most bosses. Also, for a first playthrough focus on only the social links for the party characters you like to use and then a couple who are your favorites. And don't forget to grind a few levels every once in a while. Resident Evil 5 lost in nightmares for Xbox one, Friday the 13th the game for Xbox one and Layers of Fear for the switch. Diablo 3 and RDR2 for me most of the weekend. AC:NL and a few other random titles in between. Super Mario Galaxy 2, Animal Crossing: New Leaf and Splatoon 2. Diablo III! The Witch Doctor was one of the classes I never really gave a chance when I played on PC. Turning out to be a lot of fun thanks to some very unique and silly abilities. The Legend of Zelda: Ocarina of Time (N64) - Now that this has turned 20 years old this month, I have a desire to play this on my newly acquired Nintendo 64. Microsoft Solitaire Collection (Android) - Still doing challenges and playing random Klondike hands. Tinker (Win 10) - Can't seem to get it working, so watching a Let's Play instead. Xenoblade 2, Bomb Chicken and some Splatoon 2. I'm having a bit of remorse for stacking up too many games and not finishing them. Just beat The Messenger (soundtrack of the year! ), gonna continue Yo-kai Watch 2 (playing catch up with the series), and maybe start Golf Story. Diablo III & NBA 2K19 Switch. Probably more Spider-Man on PS4. Haven’t had a chance to pick up RDR2 yet. @TricksterTyler Thank you. I'll make sure to follow your advice. Xenoblade Chronicles 2. Torna was excellent and now I feel ready to make it through the main game. Still many hours ahead! Poi: Explorers Edition. Loving it. Simple graphics but pleasant, and a couple of small issues - but overall a pure fun 3D platformer which is for me the genre of genres. Way better than reviews make out - and even if it is just a good Mario 64 rip-off - so what! Also playing some Yoshi's Island and Symphony of the Night. I just finished up the Xenoblade 2: Torna DLC and Megaman 11, and am now digging in to Starlink and the Yomawari collection. @Balta666 also forgot to mention even though you are currently playing the campaign you can still change the difficulty at anytime. It will be easy on normal. Save me Mr Tako, Shantae Pirates Curse and Dragon Ball Fighterz. Transistor -fantastic game, so glad I picked it up! I wrapped up Bayonetta 1 and blasted through 2 yesterday. I should stress I was on Very Easy mode for 1, then Easy for 2. Either way, I'm ready for Bayonetta 3! Starlink: Battle for Atlas. Been wanting to get started on this Starfox game for a while, finally doing so. J.R.R. Tolkien's The Lord of the Rings: Volume I (SNES), The Legend of Zelda: Voyager of Time (OoT rom hack), The Lord of the Rings: The Third Age (GC). I'm mostly playing Dark Souls on my Switch the whole time since it came out, it's my first playthrough of the game and I'm loving it (just completed the infamous Blight Town), also is really not a difficult game at all like many like to say. Really there is not a correct order to which boss comes first in Dark Souls, one of the reason I am madly falling in love with this game. Capra Demon is not nearly as bad as a lot of people say, it was the easiest boss for me actually. Hell the whole game has been pretty easy so far and I just finished the Bligh Town, hopefully it will get more challenging later on, but I'm loving the gameplay, lore, setting and level design, especially the level design is so brilliant! @Draxa ok, thanks for your detailed responses. One last question. 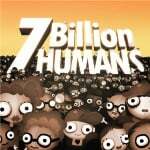 Can adventure mode be played as single player or is online multiplayer only? @Balta666You can play it single player in offline or while online. You can change your preference while in game as well. I've been playing Diablo, duh! This my first time ever playing, and it's wicked fun. Had the same issue with it being easy as well, even on hard (I'm a necromancer). Clocked in a bunch of hours already. @berga89 I've been struggling pretty bad with just about everything myself. I have found every boss pretty challenging but maybe it's because I'm not used to this series. The only boss I've found super easy was the Taurus demon and that's because I finally realized the ladder could be used to my advantage (don't want to say too much and spoil the easy way to defeat him). I actually went untouched for that boss fight but i can assure you that was the only part of this game that I was not hit. Hopefully I'll get good enough but as of now, I'm horrible lol. Oh and I can't even get through the door of the capra fight without being pummeled immediately. I'm trying to get to those stairs but they seem so far away! !